The chart below tracks the cumulative increase in “excess” Government spending above revenue collections. Notice the point at which nominal GDP growth stopped rising. 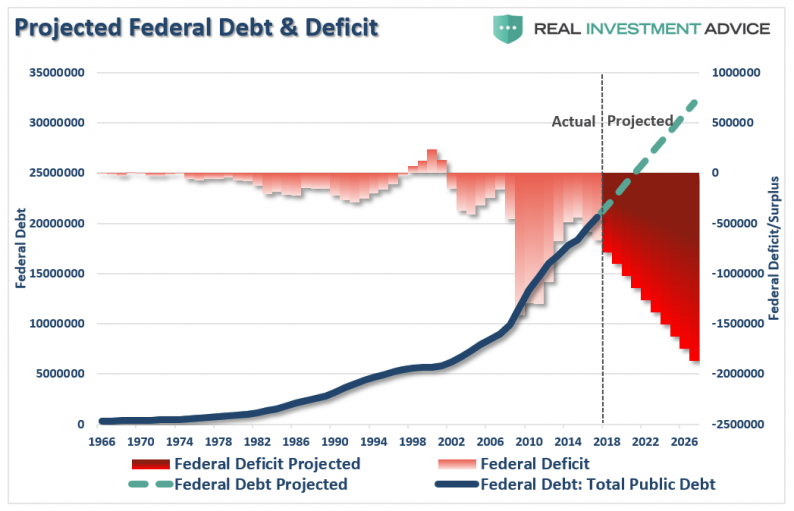 Trillion dollar deficits, of course, are nothing to be excited about as rising debts, and surging deficits, as shown, impede economic growth longer-term as money is diverted from productive investments to debt-service. 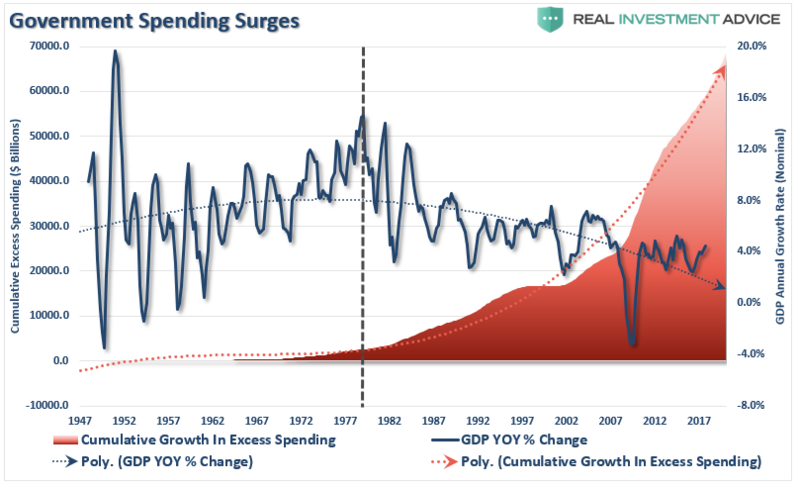 Dr. Hunt is absolutely correct when he notes that due to the aging of America, the mandatory components of federal spending will accelerate sharply over the next decade, causing government outlays as a percent of economic activity to move higher. 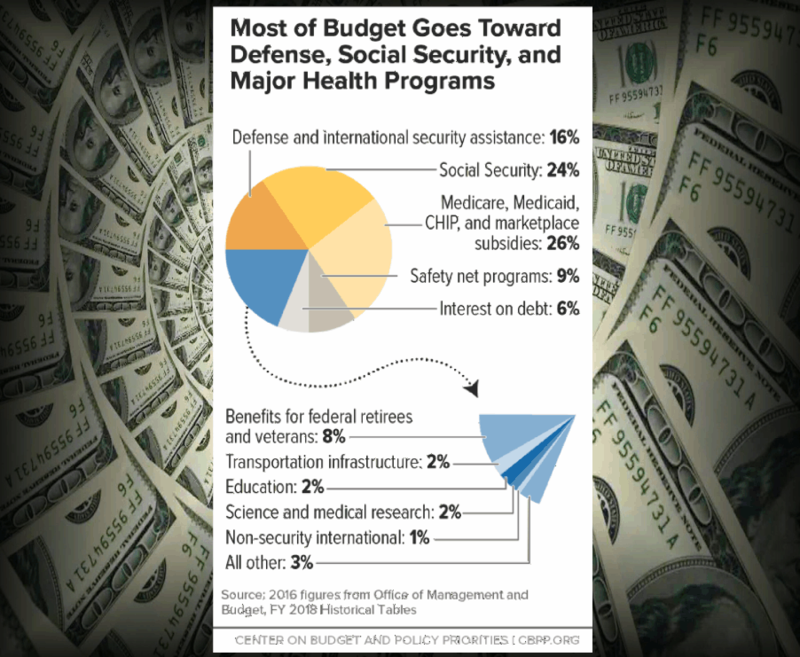 According to the Center On Budget & Policy Priorities, nearly 75% of every tax dollar goes to non-productive spending. Should We Worry About Government Deficit?